The New Mexico Department of Agriculture will hold four public hearings to propose the repeal and adoption of 21.15.1 NMAC — “Organic Agriculture” (view the Organic Agriculture Proposed Rule here). 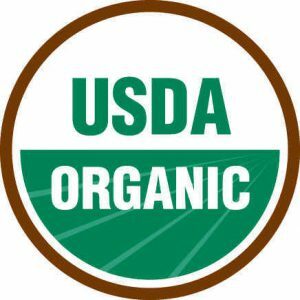 During the public hearings the newly proposed fee structure for the New Mexico Department of Agriculture’s Organic Program will be reviewed. Las Cruces: Wednesday, July 5th, 2017 from 1 PM to 2 PM at the New Mexico Department of Agriculture (3190 S. Espina, Las Cruces, NM 88003). Santa Fe: Friday, July 7th, 2017 from 8 AM to 9 AM at the New Mexico State Capitol, room 326 (490 Old Santa Fe Trail, Santa Fe, NM 87501). Albuquerque: Friday, July 7th, 2017 from 1 PM to 2 PM at the Bernalillo County Extension Office (1510 Menaul Blvd NW, Albuquerque, NM 87107). For more information about the public hearings or the proposed rules contact 575-646-3007 or visit the NMDA website.